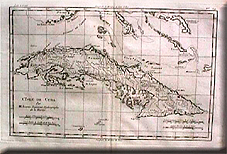 Cuba had long been a Spanish colony, indeed it had been claimed by Columbus himself. 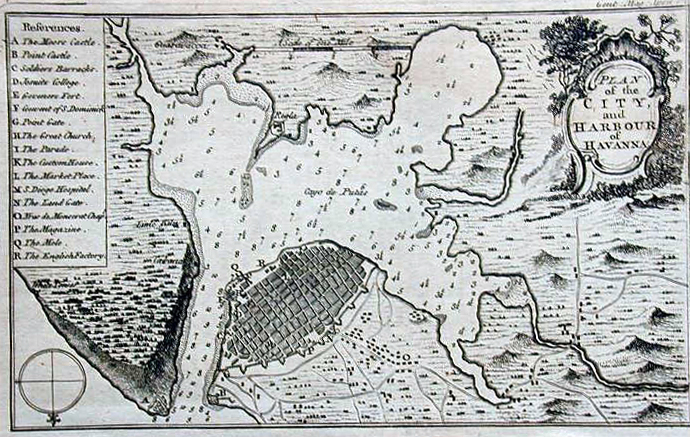 There had always been keen competition between the French, Spanish, English and Dutch in the Caribbean and the Spanish had long realised the necessity of fortifying their main port of Havana in Cuba. 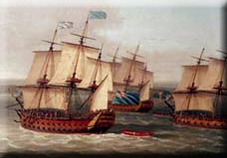 The British came to blows with the Spanish as a result of the Seven Years War. The British responded by sending an expedition of 15,000 regular and colonial soldiers from Canada to capture Cuba. Havana was a formidable fortress if approached from the sea. So, the British landed several miles down the coast and attacked the town and fort from the relatively unguarded interior. The town walls were still considerable. The British had to resort to tunnelling underneath a section of the wall to cause a breach. Unfortunately, the equatorial conditions meant that malaria and yellow fever would cause serious casualties to the besiegers. Reinforcements arrived just before the British were about to abandon the campaign. They blew a hole in the wall and set up batteries overlooking the city. From their commanding height they bombarded Havana and the fort on the point on the other side of the narrow harbour mouth. Within a few days the Spanish guns were silenced. The campaign was a success but only at a very high price. The majority of the expedition were killed not from battle but from disease. Barely a year later at the end of the war, the British traded their Cuban colony for the Spanish mainland colony of Florida. The Spanish had been banished from the North American mainland but would still wield considerable influence in Central and Southern America.